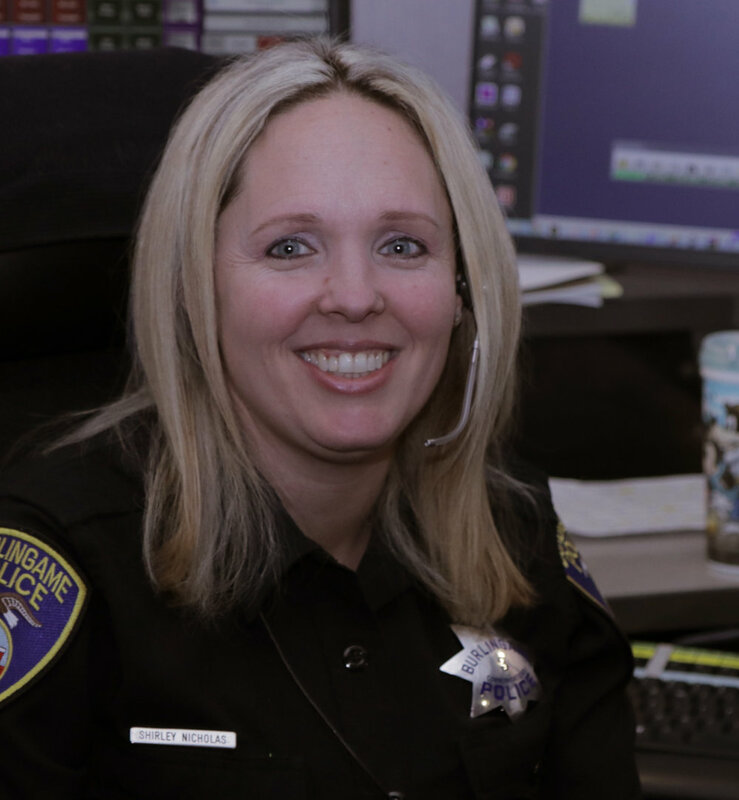 How she got started: "I always wanted to work in law enforcement because my father was a 911 dispatcher for the Daly City Police Department. I was working a Long's and the parking enforcement people used to come in all the time and they said 'you'd be great for the job'. So then I got hired in San Bruno doing parking enforcement. I would watch the dispatchers I would tell them, 'I don't know how you do your job!'. I watched them for four years, and thought, 'If my dad can do this, there's no way I can't do this.' So then I just took the plunge and got hired in Burlingame." Working in law enforcement: "It's like a family here. No matter how much these officers can drive you crazy, they're still your family and you don't want anything to happen to them. You want to protect them–so it's like you get a hugely extended family. I don't have a particularly large family myself, so I get to have this extended family that way. So I think for me that's the perk of this job–that everyone's very close and even if you annoy me, it doesn't matter 'cause I'll still be there for you to help you, cause you're like family." On keeping dispatching in-house: "As a dispatcher working for a city, you're invested in your city. I'm invested in Burlingame. When you get it going to a regional dispatch center, you don't have people that are invested in your city. They just don't get the knowledge or the idiosyncrasies that we get. Once you get to a large department, you're going to get one flat type of service. I also know my officers. So the subtleties of the officers' voices is huge, where you know just from a slight change that something is wrong. It helps with officer safety issues." What the public should know when calling 911: "All people care about in an emergency is that the officer gets there. A lot of times they don't understand why we're asking questions, or they don't really care because that's not what's important to them. They don't answer the questions you're asking. They will tell you what they think you need to know, not understanding that I might need to understand a little bit better." Hardest calls: "Anything that's happened to a little kid. A little kid calling and scared, especially being a parent, is the worst call. Because you're like, 'Just get there! Hurry up!' You know that's how they feel. I want to just hug them and help them and do whatever you can. But you're stuck on this phone, being calm, making sure that they know someone's coming. You try, depending on the call, to distract them from what's going on and you have to find common ground with what you can talk with this person about." On being a Teamster: "The Teamsters are like a family, because you know if something's wrong, you can go to them and they will support you, back you up, support you to their fullest. You know that you always have someone in your corner fighting for you and that's what's nice about having Teamsters as your union."